Your hair is made up of a cortex and the cuticle. The cortex is the center of each strand, made up of proteins that determine your hair’s strength. It is protected by the outer layer, the cuticle, which is a series of flakes that can be said to resemble roof tiles – each one overlaps another throughout the length of each strand. The shine in your hair is a result of light reflecting from these cells. Cuticle cells have an invisible bond that holds them tightly together. Over time and through exposure to the environment and heated styling tools, these bonds weaken, leaving gaps between the cuticle cells that make the surface rough. Hair in this condition is frizzy and tangles easily. When you condition, there are two actions at work: cuticle cells fall in tightly against each other and a coating on each hair strand keeps the cells bound together. This results in smoother, shinier hair that is less likely to tangle or frizz. Even people with oily hair should not skip the conditioner. It is the scalp that creates excess oil as a way of trying to compensate for natural oils that are stripped away when shampooing. Your hair strands still need the binding action of conditioner to keep your hair soft and smooth. If you have oily hair, use a light conditioner. Try washing less often, and you may find that your scalp balances itself over time. 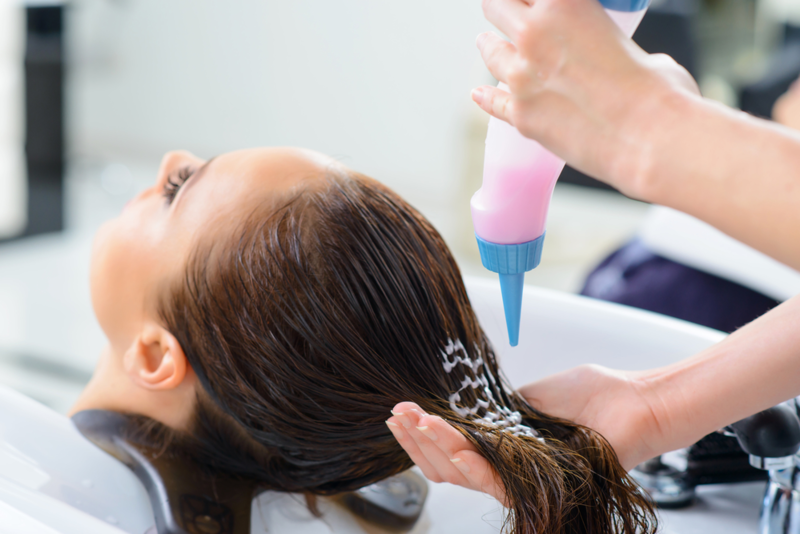 Before conditioning, squeeze out excess water so the conditioner can bind to the cells. Avoid conditioning at the scalp, concentrating instead on the ends, and always rinse your hair very thoroughly. With regular conditioning, your hair is at its best and easier to style! Always use haircare products that are formulated for your hair type and condition. Your stylist is your best partner in haircare and can recommend the best products for your hair’s needs. For a new style or color or if you just need a trim, make an appointment today at Untangled Salon. Our team of professional, highly-trained stylists will give you a fabulous look that is perfect for your individual style! You can find us at 19924 Jetton Road, Suite 105 in Cornelius. To schedule an appointment, just give us a call at 704-895-9300 or send us an email at info@hairuntangled.com. Prefer to schedule an appointment yourself? Use our free mobile app. You can download it for free at the AppStore, on Google Play, or Amazon.